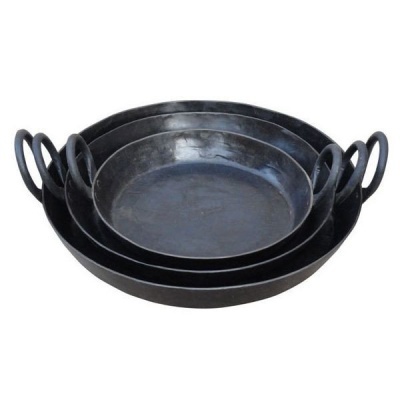 Kadai Firebowls Set of 3 Skillet Pans (XM065) traditional cast iron cooking utensils supplied as an accessory to the Kadai Firebowl grill range, but also suitable for cooking on any outdoor BBQ, firepit or open fire. 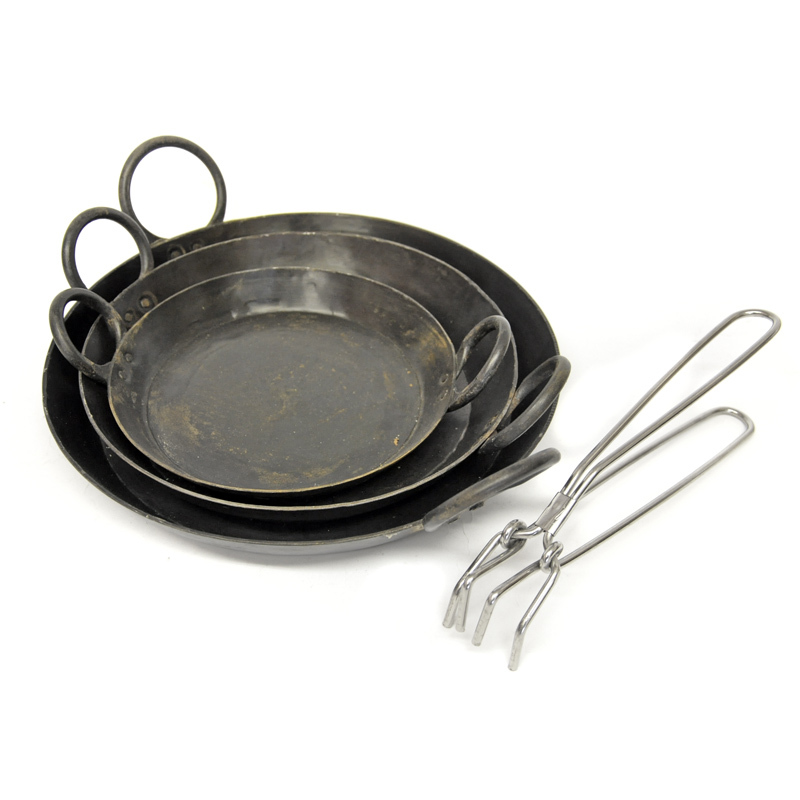 Flat bottomed skillets allow food to be cooked in delicious sauces and seasoning. Great for vegetarians as they keep food separated on the grill. 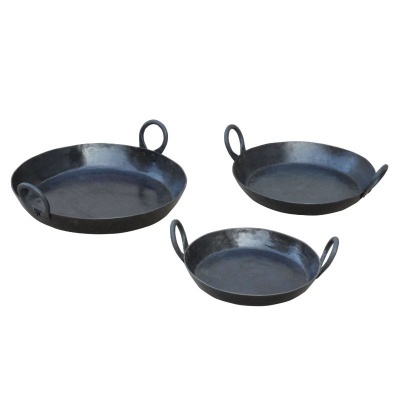 Set of 3 Skillets are supplied with lifting handle. To compliment the Kadai Firebowls range, Kadai accessories have all been handmade with great care by craftspeople across Rajasthan. All have been thoroughly tested and supplied with instructions for use. 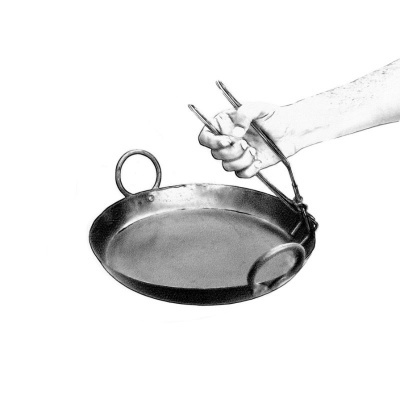 Social Cookware for you to impress your friends with new culinary delights.